The Velox™ probe station control software is the universal standard for probe operations, both semi-automated and fully-automated. 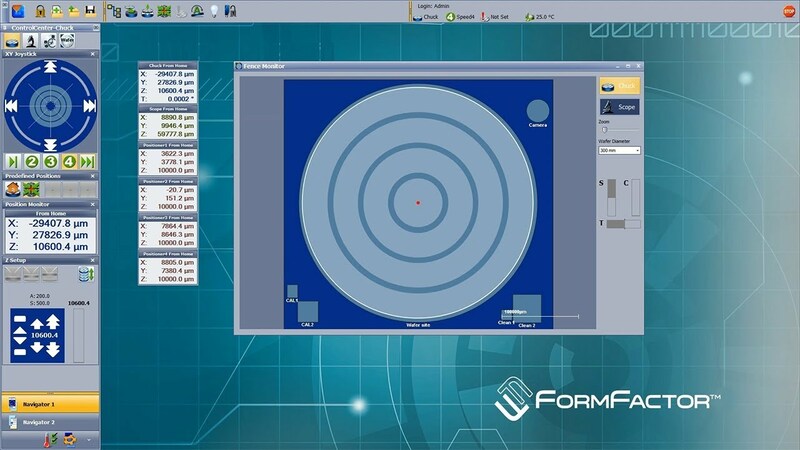 It enables safe and fast wafer loading, and easy test automation and measurement system integration, while preventing damage of probe tips and probe cards throughout the entire measurement cycle. 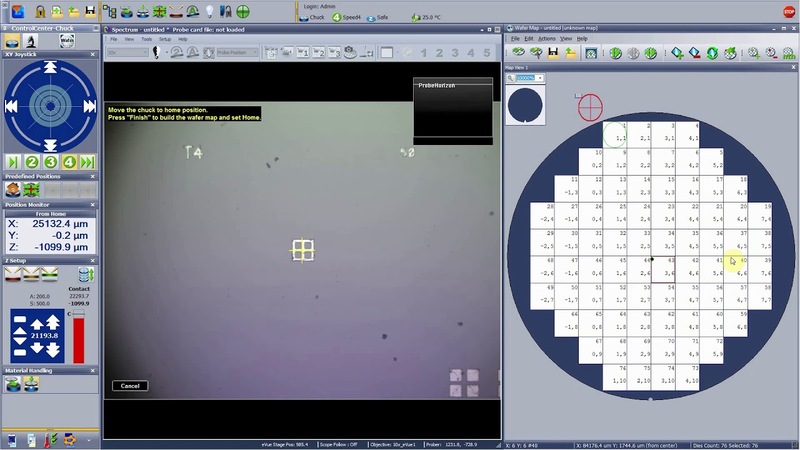 Velox AutoAlign is the most ergonomic and quickest way to align a wafer in theta and determine the wafer diameter and die size. 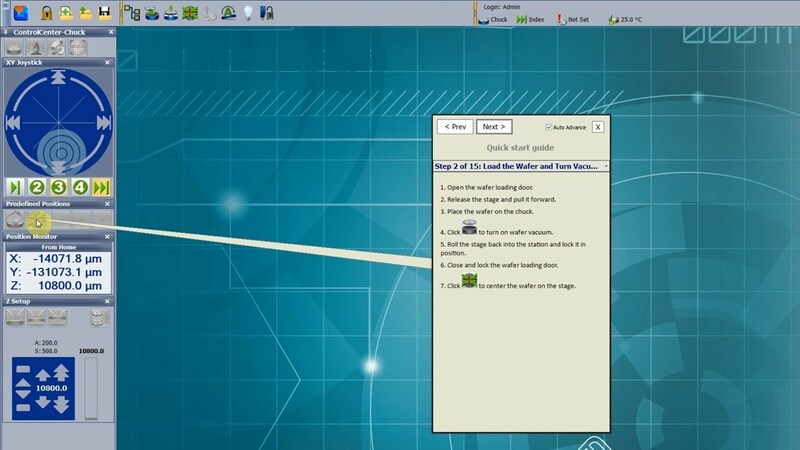 ReAlign is a powerful Velox feature that is supports Contact Intelligence Technology™. It enables unattended testing over multiple temperatures for probe cards on the CM300xi by automatically aligning probe to pads. It is recommended especially for applications with limited microscope view, such as vertical and Pyramid probe cards, or when using a test head. 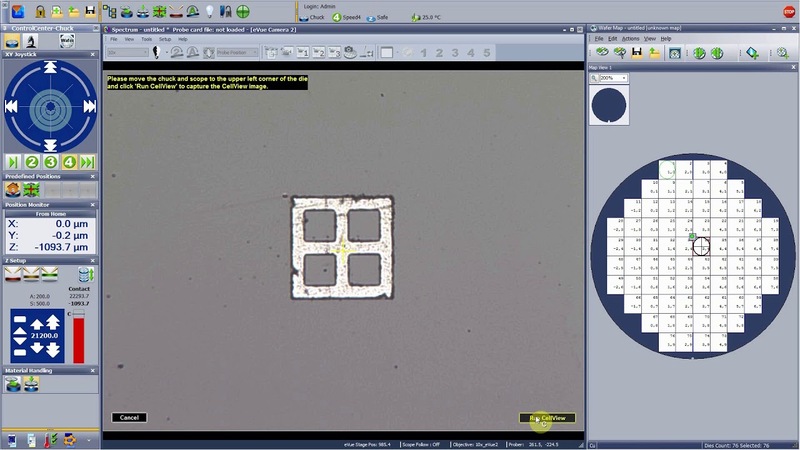 CellView is a powerful Velox feature that allows you to easily navigate and orientate on parts of the wafer that are out of view. 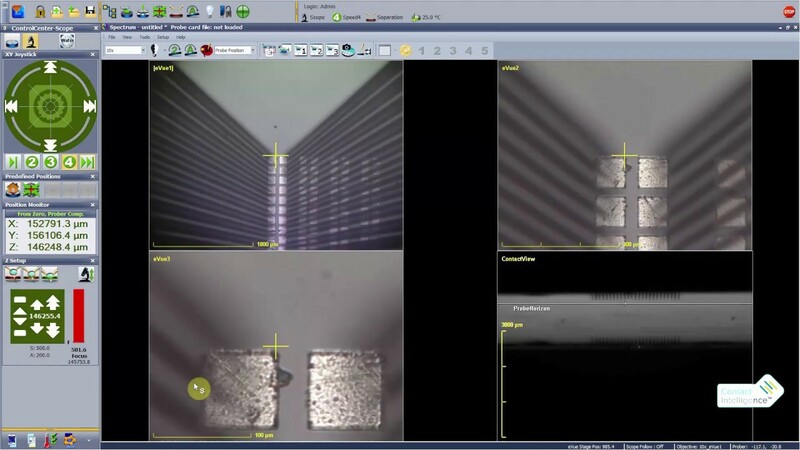 The configurable Velox Toolbar guides you through the necessary steps to perform successful measurements. The Velox Workflow Guide is a powerful feature which enables unexperienced users to perform successful measurements.